I am still settling in and getting used to everything but since I am going to start working in a few weeks I figured I should be spending the rest of my time of unemployment traveling and exploring this country. 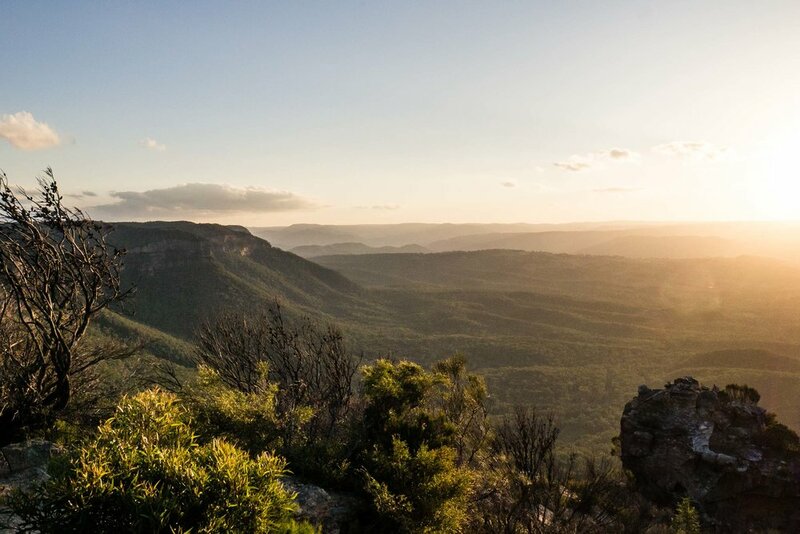 The Blue Mountains are a perfect destination for a day trip from Sydney. I took a train from Central railway station to Katoomba which takes only two hours. 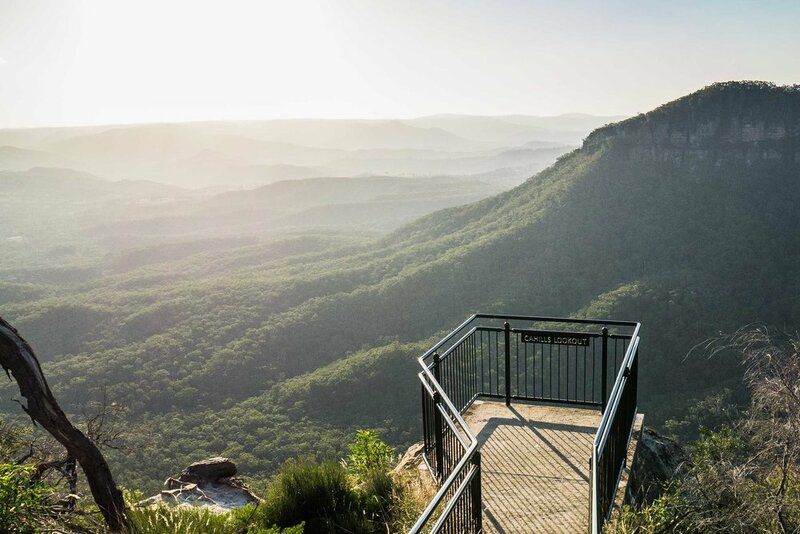 When arrived at Katoomba station I first walked down to the lookout that most tourists know and go to - Echo Point. The good thing about going late is that it’s less busy. Echo Point is supposed to be very crowded in the morning and around midday but when I went there were only a few other people and I didn’t have a hard time getting clear shots of the scenery and the famous rocks called The Three Sisters. 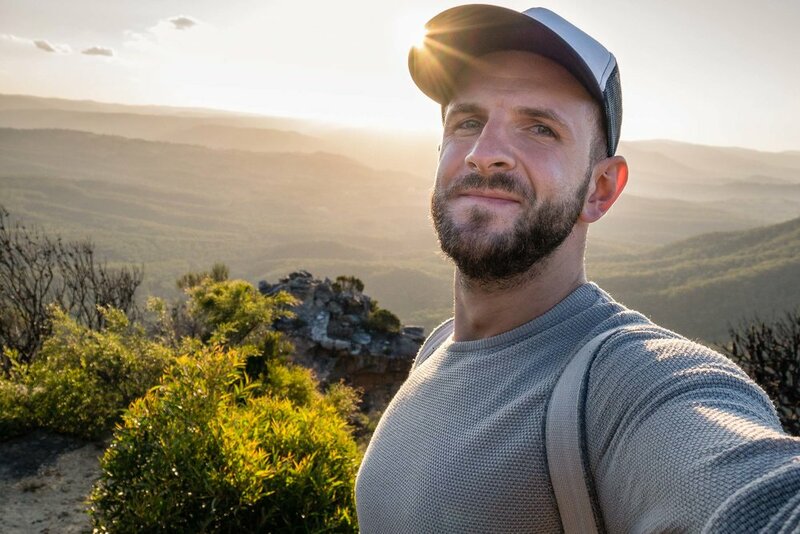 I originally thought walking between different lookouts would be a nice way to spend the remaining hours until sunset but I learned that there are no proper walking trails between for example Echo Point and Cahill’s lookout so I ended up walking on roads watching out for cars to make sure not to get run over. The roads weren’t very busy but I think renting a car would have been much more convenient as Katoomba is quite hilly. There is also a bus service called Blue Mountain Explorer Bus that brings you to different sights in the area. However, the service finishes at 5:45 pm so it’s not really an option for late visitors. I was absolutely stunned by the views and the landscape. 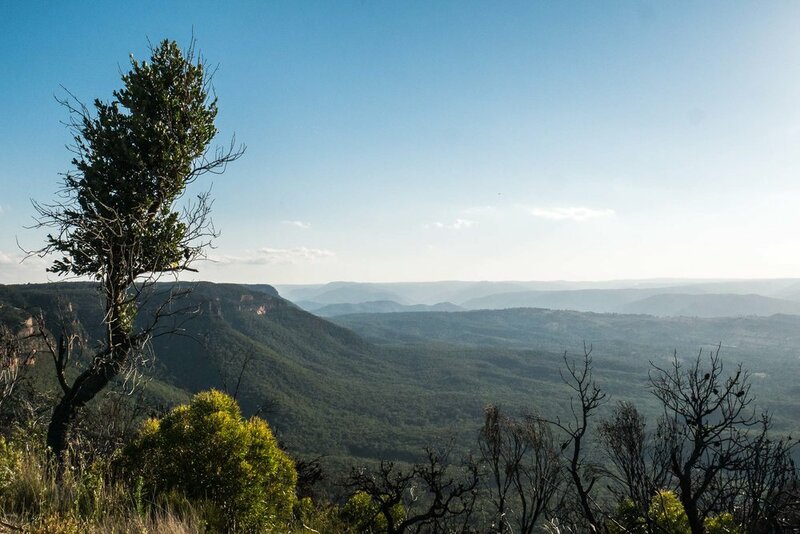 Below are some shots of my little Blue Mountains adventure. I will definitely come back and check out some more places around there and I also want to stay overnight to see the sunrise. Let me know what you think and if you have some favourite places around the mountains that I should go to. If you enjoyed reading this post feel free to like, comment and share and join me on Facebook and Instagram for more photos and stories.